When two dates against an award are given, the first one is that of the London Gazette, the second one that of the Canadian Gazette. Eldest son of late J.A. Alexander, Ceylon Civil Service. Married (1917) Gertrude, youngest daughter of Right Rev. Lennox Williams, DD; two sons, one daughter. Son of late Col. William Patrick Anderson, CMG, and Dorethea Susannah (Small) Anderson. Married (08.06.1910) Elizabeth Grace, 2nd daughter of late Col. W.D. Gordon, Kingston, Canada; three daughters. Honorary Colonel, 2nd Field Engineers Regiment, Royal Canadian Engineers, 1963-1967. DSc Mil., 1963. Member: Engineering Institution of Canada, Royal Canadian Military Institute. Married; at least one daughter (born 1917). Son (with one brother) of Henry Ernest Baily (1888-1956), and May Georgena Martin (1889-1978). Married Mabel Malcolmson; two children, one foster child. 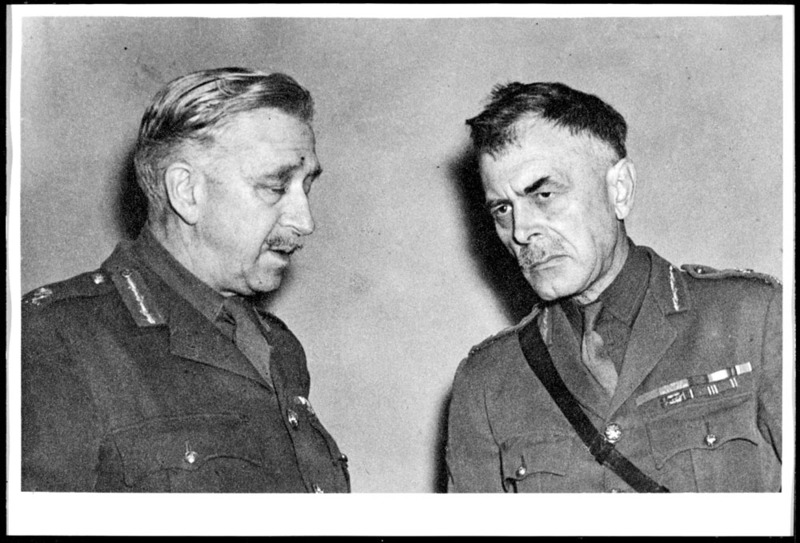 After the war, he was the Commanding Officer of the 37th Field Regiment; and Honorary Colonel of the 2nd Field Artillery Regiment. In civilian life he was an industrial realtor, FRI, a president of REIC and Chairman of the Board of Lepage/Westmount Realties. Son of George Herbert Barr, Q.C., and Ethel Laureen Dawson. Education: public school, Regina, Saskatchewan; Upper Canada College, Toronto, Ontario; McGill University (BA, psychology); University of Saskatchewan Law School (LL.B 1932). Read law with his father. Called to the Bar of Saskatchewan, 1935. Partner, Barr and Company. Director, Northram Structural Consultants Ltd. Created King's Counsel (KC), 1951 (from 1952 Queen's Counsel (QC)). Agent of the Attorney-General for Saskatchewan, 1947-1957. Member, Regina Bar Association & Saskatchean Bar Association. Son of John William and Rose Elizabeth Booth. Married (05.09.1941, St. Andrew's Rectory, Brechin, Ontario) Marie Hélène Léonie Schweitzer (15.01.1905-01.1995), daughter of William and Marie-Lucie (Dubeau) Schweitzer, of Penetanguishene, Ontario. Later known as: Scott-Brown, C.L. 11.2006 still alive at Buttonville, Ont. No. A-10 Canadian Infantry Training Centre (Reinforcements), Camp Borden, Ont. Past president, Royal Canadian Military Institute. Son of William A. and Edith Marian Cowan, of Guelph, Ontario. * Recommendation for the award of the Military Cross to A/Maj. J. Hemelryk: This officer was in command of the right forward company of the 1st HLI when the battalion was ordered on the night of March 4th to gain part of a bridgehead astride the main roads in the woods N.E. of ISSUM (0926) in order to cover a bridging operation to allow the armour to advance towards the RHINE. In order to reach this objective he had to advance uphill over open ground swept by M.G. fire from Spandau posts in the forward edge of the wood. In spite of the fact that both flanks of his Company were exposed to heavy and accurate M.G. fire the Company on the left having been held up short of thw wood, he put in a well-organized assault on the enemy positions in the wood and succeeded in breaking through to his objective. Although this position became almost untenable by daylight as a result of an enemy counter attack astride the road on his left, Major Hemelryk kept his company in good heart by his personal coolness and disregard for his own safety. Throughout the day of 5 Mar from exposed positions under continuous mortar and small arms fire he accurately directed artillery and S.A. fire on enemy S.P. guns, M.G. posts and a tank which was little more than 200 yards from where he was. It was largely due to his tenacity in holding such an isolated position, fine leadernhip and skill in directing fire under most difficult and dangerous conditions, that the bridgehead achieved its purpose and the armour was able to get through. Married Edith Mary Kee (1892-1990). Father of Lt.Cdr. G.G.K. Holder, RCNVR. * When the right flank of the company was held up by a machine-gun post this W.O. took charge of the men on the left and rushed forward with them, capturing the guns and clearing the advance. He gave his company commander great assistance in reorganising the company when the objective was reached. Son of Akeley Holmes, and Elsie Jean McKay Murray. Canadian Decoration & 1 Clasp. Canadian Centennial Medal 1967 Education: public school, Doaktown, N.Br., 1925-1935; high school, Newcastle, N.Br., 1935-1936; University of New Brunswick University, 1936-1940 [Beaverbrook Scholarship] (BSc (Hons) Chemistry & Geology, 1940); University of Western Ontario, 1940-1942(MA, 1942); McGill University, 1942-1944 (Ph.D. Chemistry, 1944). Chemistry professor, specialized in colloid and surface chemistry. Research Instructor, University of Washington, Seattle, 1960-1961. Visiting Professor, University of Bristol, Eng. 1969-1970. NRC, Ottawa, 1981-1982. Chemistry Education Award, Chemistry Institute of Canada, 1973. Son (with one brother) of Wilfred Raleigh Houghton (1880-1963), insurance official, and Maud Tudor Ellis (1878-1953), of Grasmere Lodge, Bromley, Kent. Married (1920, Calgary, Alb. ); two sons in the RCN: Gerard Kingsly Jenson (who served as a rating) and Cdr. Latham Brereton Jenson, RCN. Son (with three sisters and two brothers) of Col. Charles Porcher Wilson Kindersley-Porcher (1857-1928), and Jean Ramsay Brown (1868-1912). Married (19.09.1934, London, Ontario) Helen Ruth Lawson (28.04.1910 - 09.1999), daughter (with three brothers and one sister) of Hon. Frank Ray Lawson (1886-1980), and Helen Agnes Newton (1887-1977); two daughters. Education: Oundle School (Bramston House, 09.1921-1924); Magdalene College, Cambridge University (Officer Training Corps). Mechanical engineer. Joined International Petroleum Company in 1927, and worked in Peru and Canada. Son of Maj. Charles W. Lilley. lived. Among his many assignments after the Korean War was that of Canadian Defence Attache in Nicosia, Cyprus. Edcuation: University of Toronto (1932). His son writes: "My Dad fought with Wiltshires in WW11 went on to get campaign medals in Kenya and Malaya. His US medals came from the Aleutian Campaign, the WW2 medals while he was a Canloan officer, Normandy to Germany, and the Kenya and Malaya medals with the UK forces in their problems there." * He acted as forward observation officer during the attack on Mont Dury, advancing as far as possible with the infantry under extremely heavy machine-gun and shell fire. When the batteries advanced after the barrage, he sent back valuable information as to positions of hostile forces and our infantry and engaged machine guns holding them back. The following day he again went forward and secured valuable information. Throughout the operations he showed great disregard for danger, and set a splendid example to those under him. Elder son of Robert Duncan McNaughton, storekeeper, and Christina Mary Ann Armour, of Moosomin, Saskatchewan. Grand Officer of Order of Leopold (Belgium), 25.01.1947. MSc; Hon. LLD McGill Univ., 1920, Queen's Univ., 1941, Univ. of Birmingham, 1942, Ottawa, 1943, Saskatchewan, 1944; Michigan State Coll., 1955; Univ. of Toronto, 1961; Hon. DCL Bishops Univ., 1937; Hon. DSc, Univ. of British Columbia, 1960; Dr of Mil. Science, RMC of Canada, 1963. * For conspicuous gallantry and devotion to duty as counter-battery staff officer. He carried out daring reconnaissances, and observed the enemy's batteries from an exposed position under very heavy fire. On one occasion he crossed the enemy's lines in lowflying aeroplane, obtaining valuable information as to the enemy's batteries. He rendered most valuable service during a long period. Education: Moosomin Public School; Bishop's College School, Lennoxville; McGill University, Montreal (BSc. 1910, MSc. 1912); Staff College, Camberley (psc 1921); Imperial Defence College, London (idc 1928). Canadian Representative: in UN Atomic Energy Commission, 1946-1949 (President Canadian Atomic Energy Control Board, 1946-1948); on Security Council, 1948-1949; Chairman, Canadian Section, International Joint Commission, 1950-1962; Permanent Delegation, United Nations, 09.01.1948-06.02.1950. Adviser Canadian Delegation to Imperial Conference, London, England, 1930; Adivser, Canadian Delegation to Conference for Limitation of Armaments, Geneva, 1932; Member Committee on Trans-Atlantic Air Service, Imperial Economic Conference, Ottawa, 1932; Chairman, Interdepartmental Committee on Trans-Canada Airway, 1933-1935; Honorary Fellow, RCP and S., 1939; Honorary Member Engineering Instution of Canada (Sir John Kennedy Medal, 1940) 1957; Silver Medal of RSA, 1941; Honorary Member: Royal Society of Canada, 1942; Canadian Institute of Forestry; Institution of Electrical Engineers, 1942; Rouyal Cananadian Institute, Toronto, 1942; American Institute of Electrical and Electronic Engineers, 1942 (Founders Award, 1964) American Society of Mechanical Engineers, 1943; Member Association of Professional Engineers of Ontario, 1950; Honorary Member Professional Engineers, Alberta, 1961; Honorary Fellow, Canadian Aeronautics and Space Institute, 1963. Honorary Colonel Commandant Corps of Royal Canadian Electrical and Mechanical Engineers, 1949-1964; Honorary Colonel, McGill University Cadet Officer Training Corps 1951-; Member Kappa Alpha; Anglican. Middle son (with two brothers and one sister) of Montagu Grant Powell (1884-1933), and Aurelia Curry Hughson (1886-1967), of Rockcliffe Park. Brother of Cdr. Robert Montagu Powell, RCNVR, and of Lt.Cdr. John Alan Powell, RCNVR. 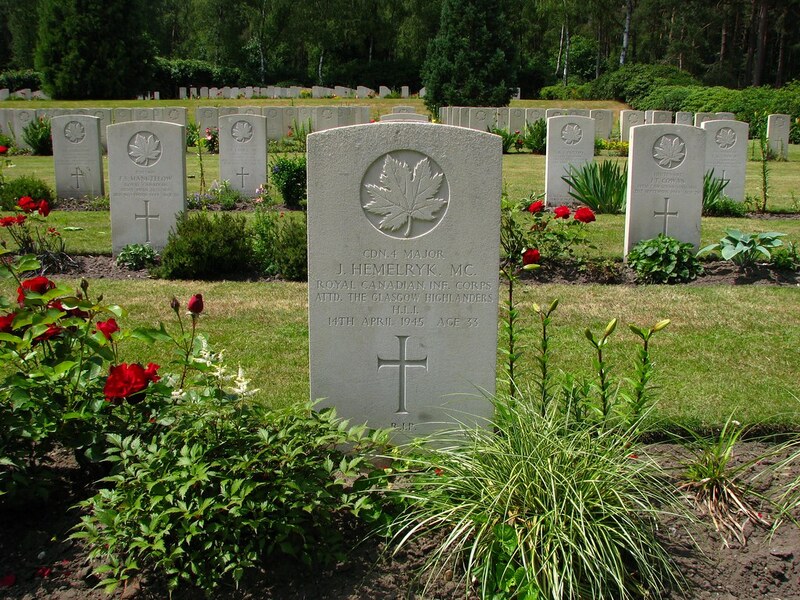 Cousin of Lt. Geoffrey Drummond Hughson, RCNVR. Married 1st (12.1937, Toronto, Ontario) Elizabeth "Betty" Jamieson. Education: Trinity College School, Port Hope (1931-1933). * He has been serving his country in an exemplary fashion for nearly fifty years. After a brilliant military career both on the battlefield, where he was decorated for valour, and in the many important positions he held in times of peace, he has taken on difficult challenges in the private sector. In addition, he was involved in a number of royal visits as Her Majesty's Equerry and Canadian Secretary. Son (with three brothers) of George Lennon Rocke (1866-1928), and Elizabeth Louise Powell (1868-1960). Postmaster, Fort McMurray Post Office, 25.01.1923-24.11.1941 (from 16.08.1940 military leave). Brother of Capt. Guy Valentine Hilton Rocke. Education: passed military staff course (msc). Accountant in Red Deer, Alberta working for Northern Crown Bank. Served Alberta Provincial Marketing Board, 1950s. Son of Frederick George and Annie Florence Sims, of Ottawa, Ontario. Veteran Affairs Canada 1921 ? Eductaion: Royal Military College, Kingston, Ont.